The 2019 Michigan Division for Early Childhood Annual Conference will be on April 26, 2019 at Central Michigan University, 195 East Ojibwa Court in Mt. Pleasant. 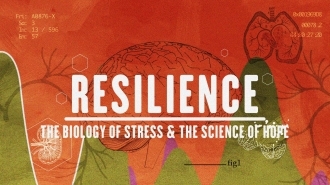 The theme for our conference this year is 'Promoting and Supporting Resilience'. Our keynote speaker is Dr. Rosemarie Allen. Dr. Allen has served as a leader in early childhood education for nearly 40 years. Her life's work is centered on ensuring children have access to high-quality early childhood programs that are developmentally and culturally appropriate. She is currently an Assistant Professor in the School of Education at the Metropolitan State University of Denver. Her classes are focused on ensuring teachers are aware of how issues of equity, privilege and power impact teaching practices. She is also the President and CEO for the Institute for Racial Equity & Excellence. In 2012, Dr. Allen was appointed a Global Leader for Young Children by the World Forum on Early Care and Education. She collaborates with professionals and advocates from more than 80 countries who meet to share inspiration and information on issues impacting children and families worldwide. Rosemarie earned her B.A. from California State University, M.Ed from Lesley University and EdD in Equity and Leadership in Education at the University of Colorado, Denver. Additional Highlights: Jane Scandary Award; Screening of the film 'Resilience'; sessions on implicit bias, resilient classrooms, Fetal Alcohol Spectrum Disorder, advocacy and much, much more! Michigan Division for Early Childhood is pleased to announce the addition of two new board members into two of our newer created board positions. We welcome Sophia D'Agostino as member-at-large and Barb Schenderle as our new family representative while Lisa Cook-Gordon moves to the past family representative position. Welcome, Barb and Sophia! The Michigan DEC 2018 Election results are in! Katie and Sophia will each serve terms in their respective positions from July 1, 2018 to June 30, 2020. We had a high voter turn out this year - Thank you to everyone who voted. Congratulations to Katie, Sophia and Barb! The next issue of the MIDEC Newsletter is available to MIDEC members. This is an added benefit to being a member of the Michigan Division for Early Childhood. Share your thoughts on Facebook or by contacting us. Michigan early childhood special education pioneer, Jane Scandary, passed away on February 9, 2017. To honor her legacy, her family has asked that memorial contributions to go toward continuing the annual presentation of the Jane Scandary Award for excellence in the field of early intervention/early childhood special education, presented by the Michigan Division for Early Childhood. We are looking for members who are excited about making a difference in the lives of young children with disabilities in Michigan. To join DEC, you must first be a member of the Council for Exceptional Children (CEC). When you join CEC, be sure to add our division, DEC, to your membership. Excellent research and practioner journals on evidence-based practices that work young children with delays and disabilities. Updates on public policy initiatives that impact young children with disabilities and their families. Opportunities for advocacy on behalf of young children with disabilities and their families. A network of professionals, parents, and community members who are passionate about enhancing the growth and development of young children with delays and disabilities.